SONIPAT (Haryana): Union Minister of Food Processing Industries Smt Harsimrat Kaur Badal said that the Ministry will collaborate with multiple international laboratories testing various food products so that the food products approved by laboratories at National Institute of Food Entrepreneurship and Management (NIFTEM) get worldwide acceptability. 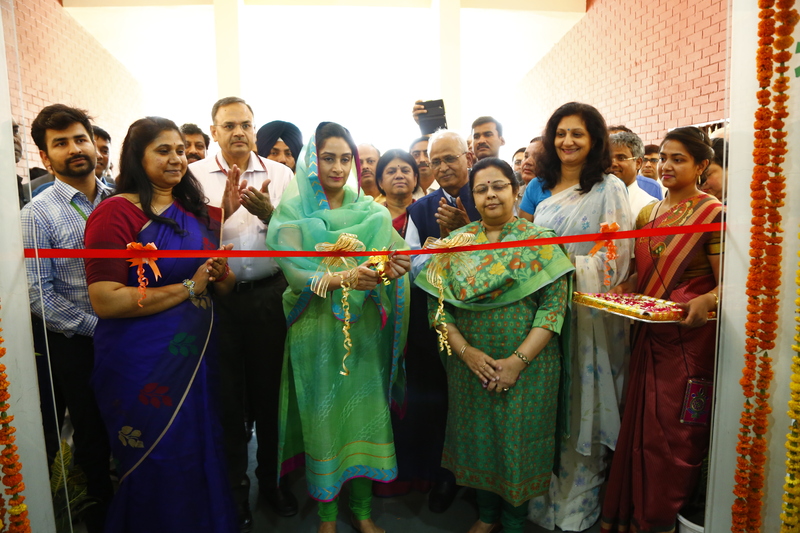 The Minister was speaking to the media at the inauguration ceremony of an Incubation centre and Food Testing Laboratory at NIFTEM in Sonipat, Haryana on 25th June 2018. Pilot Plant for Ready-to-Eat and Traditional Food: It will help entrepreneurs to bring either new or improved product on the market by providing the necessary know-how for RTE and Traditional Food Technology. It has two main parts viz food preparation equipment cooked in continuous process and laminate packaging facility. Pilot Plant for Milk and Dairy Product: The pilot plant is very well equipped with the new technologies, safety measures, utilities, skilled manpower, licenses require to process the food products. The same facilities may be use for a ‘Hands on Training’ to our students so that they may aware the existing processes and practices adopted by the large industries through production and demonstration on a small scale. These facilities may enhance the knowledge of stakeholders of milk production system for effective backward linkages. Pilot Plant for Meat and Poultry Processing: it will act as an incubation centre where budding entrepreneurs/start-ups or entrepreneurs can utilize facilities to tap the market while not having to invest in the costly equipment and machineries themselves. NIFTEM Centre for Food Research and Analysis: the laboratory would not only serve as a Centre for certification of food products but would also serve as a centre for undertaking research and innovation for solving the problems of the food industry and the other stake holders of the food sector. The Center would work in unison with the regulators and the policy makers for providing them all support for developing standard test protocols for various parameters of quality essential for domestic and international market and would serve as the National Reference facility in the years to come.